Automated scoring and summary calculation.Save time with automated scoring for all the observation and summary forms, automated tabulation of the SCERTS® Profile summary and Social–Emotional Growth Indicators, and automatically generated graphical representations of scores. Printable forms.Now professionals will have easy-to-print PDFs of the SCERTS® forms, including the SAP-Report Form, SAP-Observation and Summary Forms, SAP Activity Planning Form, and all the worksheets for all 3 communication stages. Forms are now clustered by communication stage, so users can print forms for an entire stage with the click of a button. Side-by-side view of up to four assessmentsfor a child, so professionals can easily track a child's progress over time. Data export featurefor easier data management. New Spanish and British English translations of the SAP-Report. 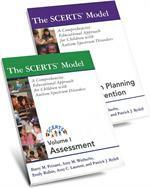 With this convenient, time-saving CD-ROM, professionals will make the most of SCERTS® and ensure better outcomes for children with autism. *To download the forms, be sure you have the most current version of Adobe Reader. 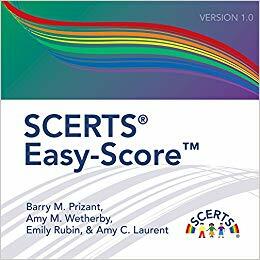 Learn more about the whole SCERTS® system.